Imagine you go to a website and you find it difficult to locate what you’re looking for. The world of cyberspace is big and easy to navigate quickly. You — like all other users — will leave the difficult site and go off in search of the information you seek elsewhere. This is why user experience (UX) is so important, and it’s no wonder, that we’ve found that UX has an absolutely staggering impact website revenue. Let me explain. UX is not the design of your site — this is a misconception we will touch on later — it’s the ease at which your users can access and engage with elements of your site. The better the experience, the more revenue the site earns; however, these two things are often thought of as separate. 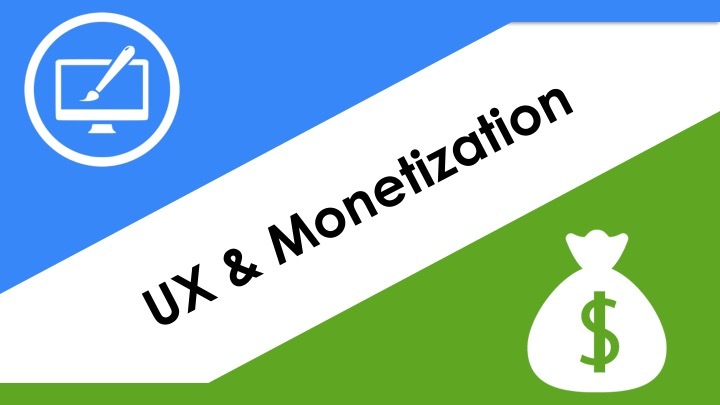 In the information below, I will reveal some of the most critical UX elements that our research has shown to have the big impacts on website revenue. We’ll show you what changes you can make to increase your site earnings both short and long-term. First, I think it’s really important to establish how to best objectively measure UX on your site. This is actually fairly easy, but we have to navigate through a few common issues first. It’s critical that site owners realize that users are voting with every click. They are telling you what they like and what they don’t like. Imagine swapping a theme in and out on a WordPress site, using their clicks, your visitors will tell you which one is best (if you know what to look for). 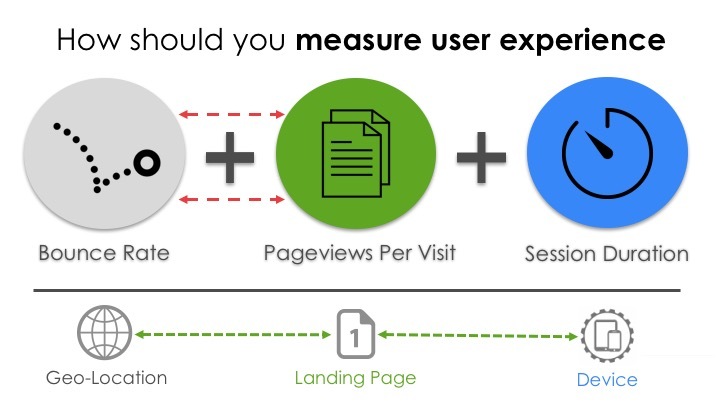 The core three things that can be used to measure effective UX are bounce rate, pageviews per visit, and session duration (or time on site). Then, you can break each of these out into sub-sections by geo-location, landing page, and device. This will provide even more depth around how different types of users engage with your site content. 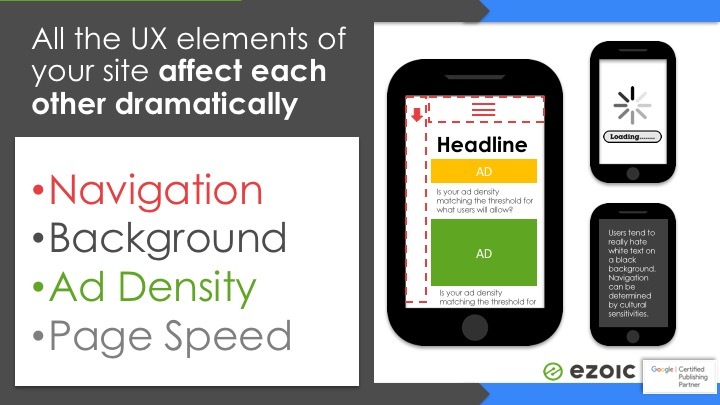 These are the same metrics Google uses inside their search algorithm to measure site/content quality and gives you the best objective understanding of what your users think of your site’s UX. We talk more about how to write content that ranks better organically using these principles HERE. Another tip that a lot of users don’t know is that Google Analytics actually doesn’t record bounce rate and session duration the way you might think it does out of the box. Because Google Analytics is only recording events that occur on your site, if a user comes to a popular article on your website and takes 10 minutes to read it and then leaves, Google will record this event as a bounce and 0:00 minutes as session duration. Unless you’ve modified the way Analytics records these events, this is happening inside your Analytics now. This is easy to adjust if you like. You can adjust the way Google records both of these things by altering what you think is most important. You can see directions here. For website owners and online publishers, one of the toughest things to come to grips with is the battle between design and data. Graphic designers and front-end developers can spin-up beautiful sites that seem flawless and seamless; however, the data may ultimately reveal that a simple site with plain design elements is ultimately a better experience for users. This can be hard for some people to understand. Subjectively, we can all agree that one site may look better than another, but objectively the data may say that users prefer the one that is “uglier”. At the end of the day, the one with better UX metrics will be the one that makes more money. Look at the example above. “A” would be considered subjectively more appealing by most people (in the video above you can see that most of the audience felt this way too). However, as you can see below, “B” had +20% higher website revenue, more pageviews per visit, longer session duration, and a lower bounce rate. Wikipedia is a perfect example of this. It is about as plain and unappealing from a subjective/design standpoint as it gets. However, it has excellent UX metrics. Google is a great example of this as well. They keep everything that isn’t content to a very low profile and try their best to keep things orderly and simple. For site owners that love designing and making a site look good, it’s important to remember that desktop visitors are in massive decline as well. Design on mobile is proving to be far less important. We’ve seen a lot of site owners realize significant website revenue increases once they let go of design biases and embraced the idea of objectively testing elements instead. At the end of the day, if the goal of your website is to create a work of art, then ignore user data and embrace the front-end design of your site. 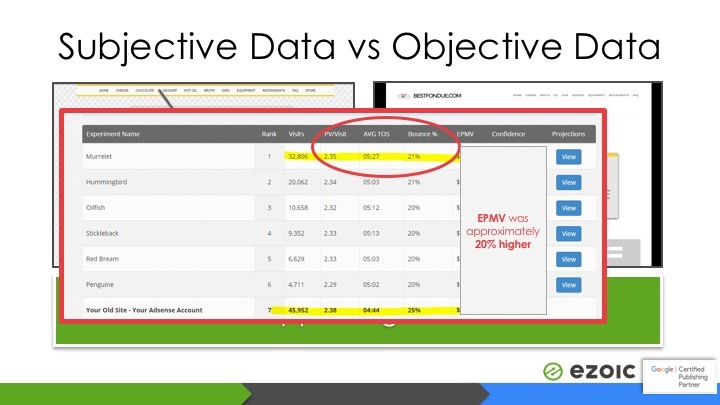 But, if your goal is to earn more website revenue, increase organic rankings, and provide better experiences to users, you need to let data guide more of your UX decisions. What UX Elements Matter The Most? There isn’t one single UX element that is more important than another; however for certain users, one may be massively more important than another. Nevertheless, they all affect each other, so there is actually quite a bit to consider. Above, you can see the most impactful UX elements that we’ve researched (on over 20,000 sites). 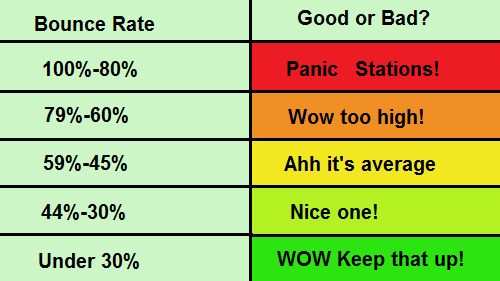 These are the ones with the most dramatic effects on the UX metrics laid out above. These factors all matter differently to different users. Page speed may end up being a bigger factor to your mobile users. You may find that ad density is far more important to users in the evening; while background colors affect metrics by country. Meanwhile, it’s possible all users prefer a singular type of mobile navigation. Ultimately, all we can really say with certainty is that all those factors influence UX metrics and website revenue DRAMATICALLY. 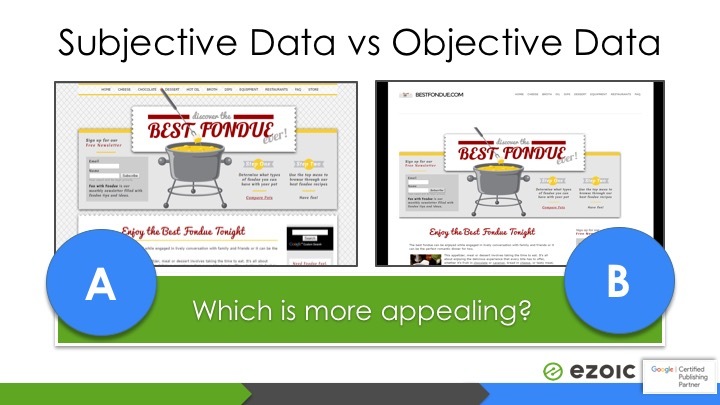 However, which ones — and if they have a positive or negative effect on the metrics — depends on the site and the types of visitors. This is why it is so important to test and measure UX metrics and UX elements on your site. Altering these things (in conglomeration with your ads) can provide huge lifts in website revenue. We’ve seen sites increase earnings by over 400% simply by optimizing for UX on their ads and layouts. However, it is something many websites neglect. Sites that invest time into optimizing their UX on a per user basis will have extremely powerful results. This starts by simply looking at current UX metrics the way they are broken down above. The next step is testing variations to see what positively and negatively affects earnings. Ultimately, to have a website that maximizes earning potential, you will want to engage in some level of multivariate testing to ensure that you are providing the best possible combinations of ads and UX elements to your users at all times.